ARt Workshops�was started five years ago by Adrienne Roberts, ceramic artist and qualified art teacher, who runs art workshops for all ages and abilities in schools, universities, galleries and community groups. 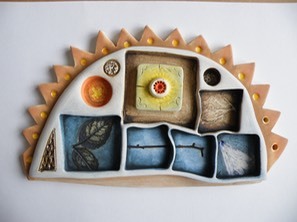 New clay workshops are now available for adults, to promote a relaxed creative atmosphere whilst learning a new skill making their own unique craft in clay. o � Christmas decorations workshop. All the work is fired in the studio ready for your collection. 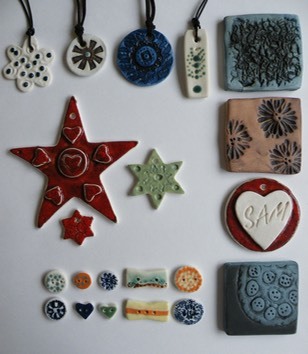 Taster sessions are also available for those thinking of taking up pottery classes. Why not bring a friend or treat someone to a workshop for a birthday or Christmas present with a difference? �Visit�www.facebook.com/artworksinspire�for examples of workshops. Workshops - Mondays and Tuesdays, morning/afternoons or please phone for alternative times. For art workshops with a wide range of media, for schools and organisations please visit our website for more details.